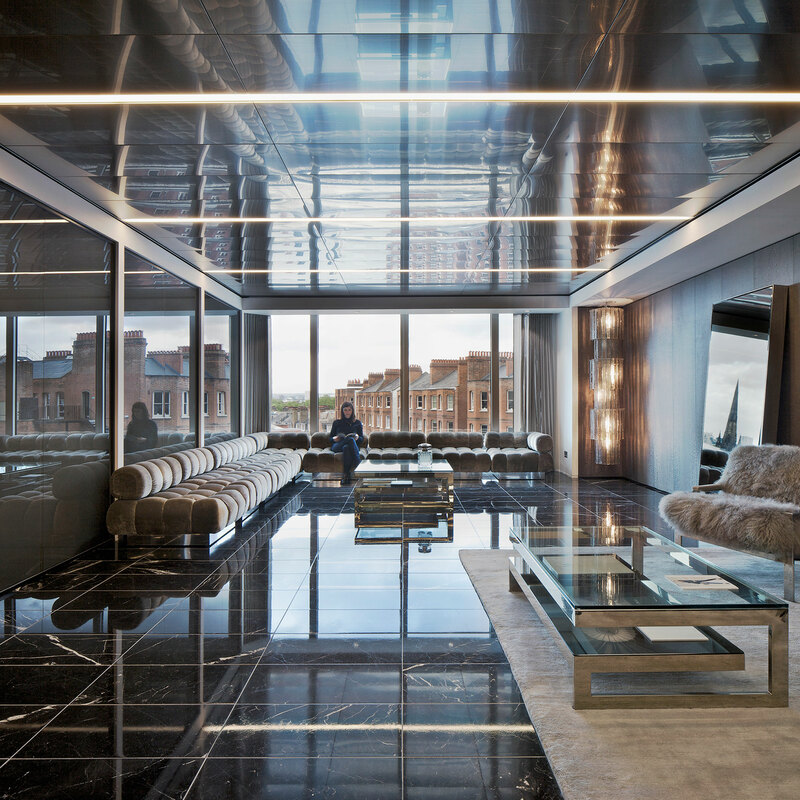 Universal Design Studio were appointed by Jimmy Choo to design their global headquarters in London, facilitating a move from the East End to Victoria. 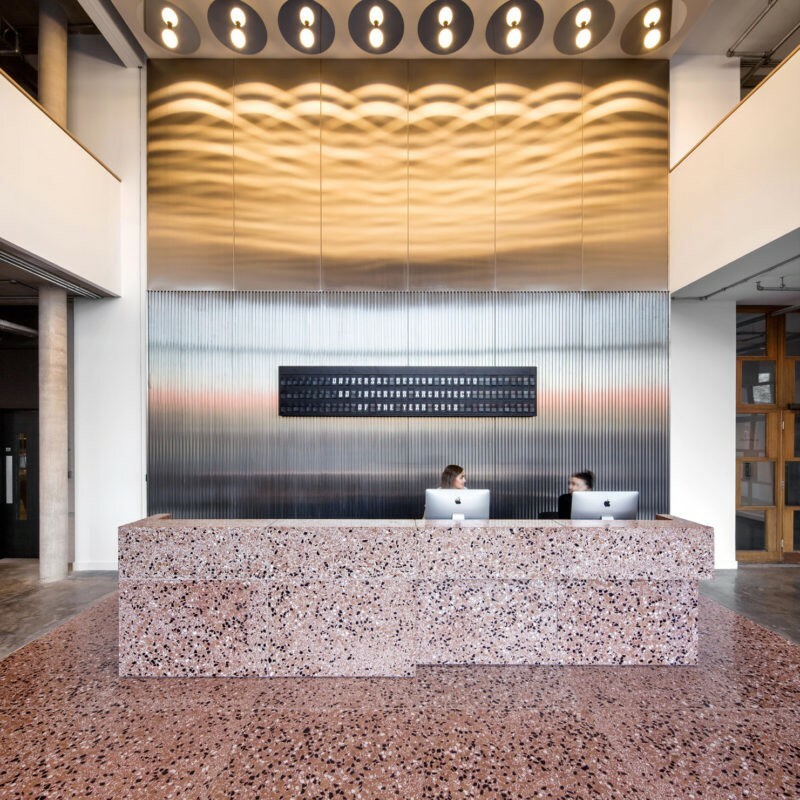 The project involved strategically organising the layout of the company’s departments across four floors, whilst increasing their social space and encouraging interaction between departments. 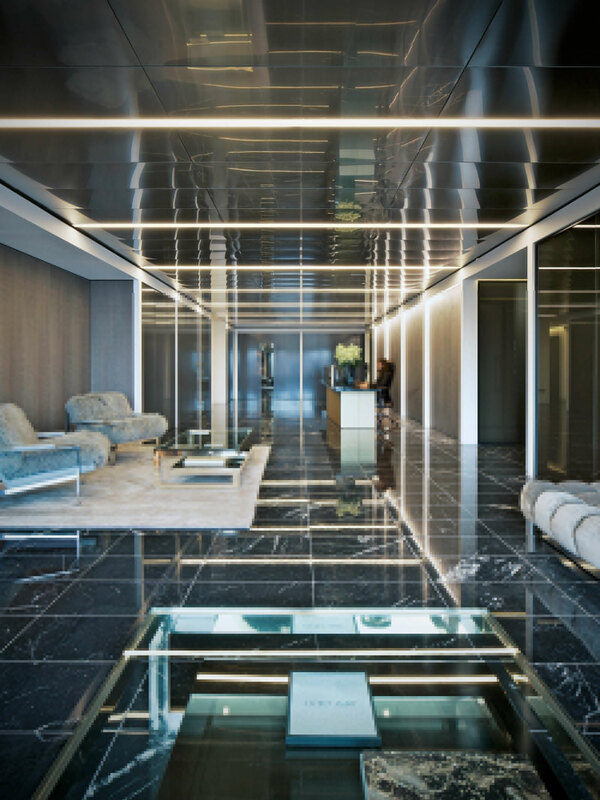 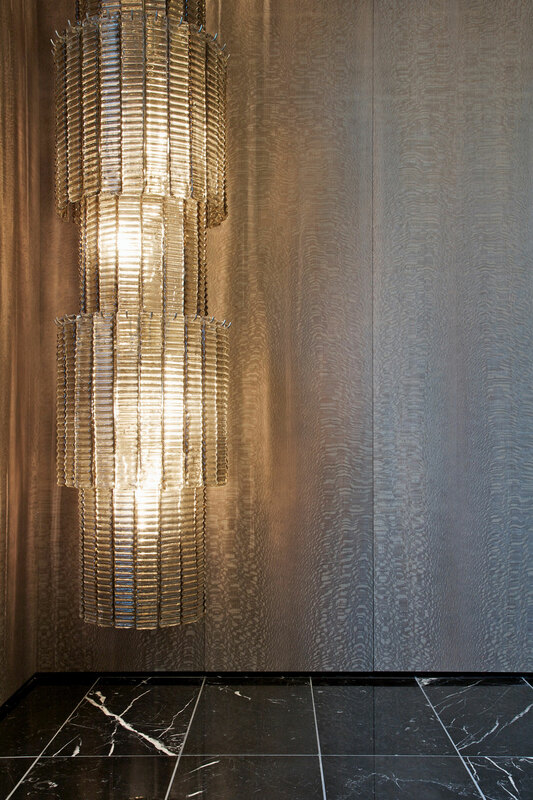 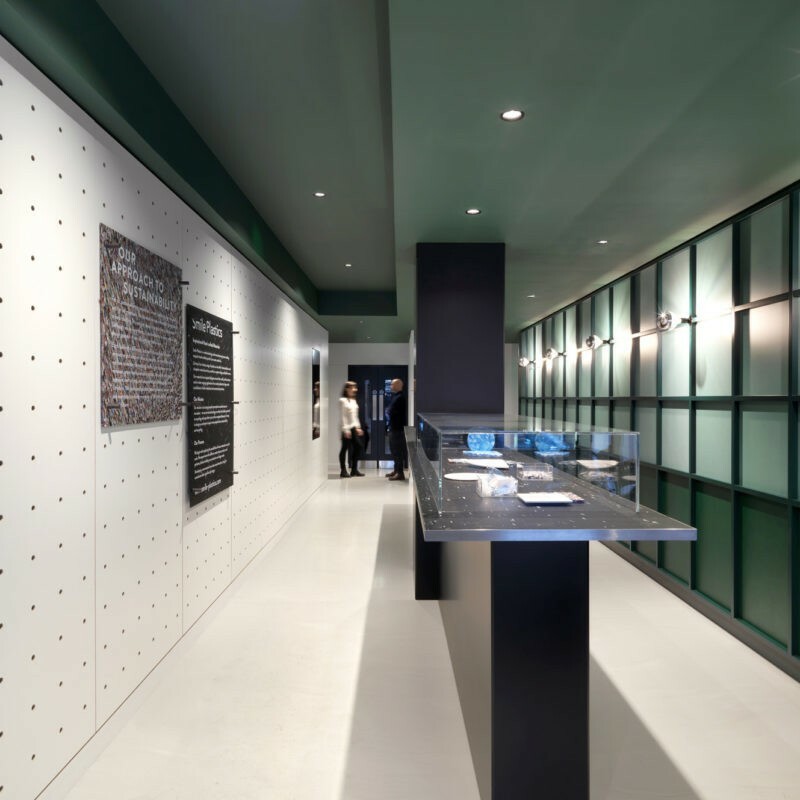 The design also needed to accommodate for future growth and provide a space that truly reflected the Jimmy Choo brand. 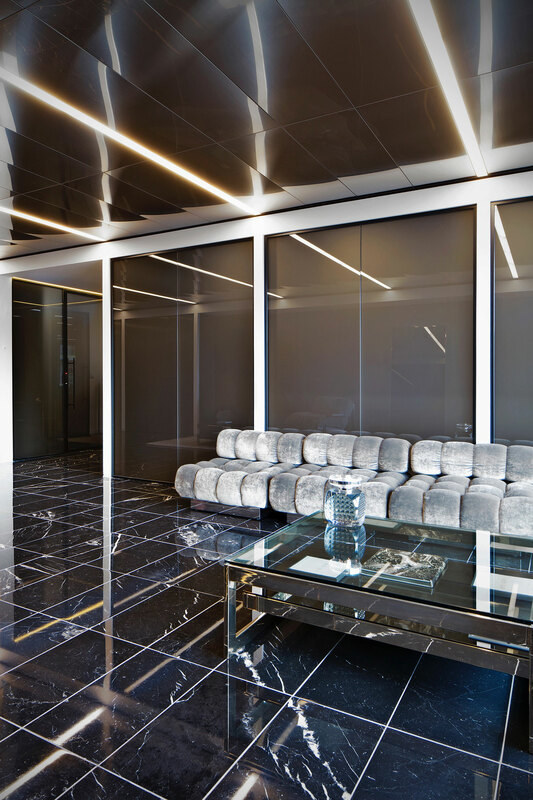 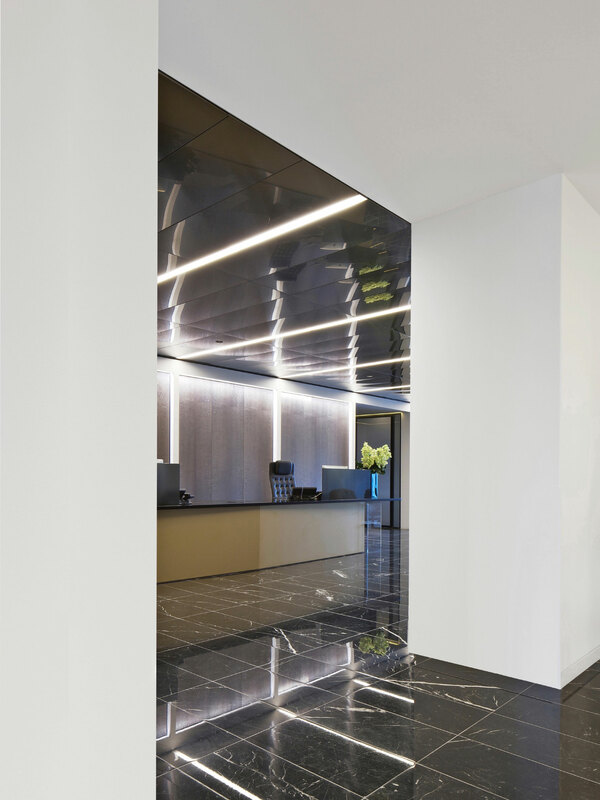 Referencing the late-modernist style of the building and embracing the client’s branding, a rich palette of materials, including hardwood veneer, polished marble, velvet, etched glass and finely brushed stainless steel were used to establish a luxurious and dramatic home for the company. 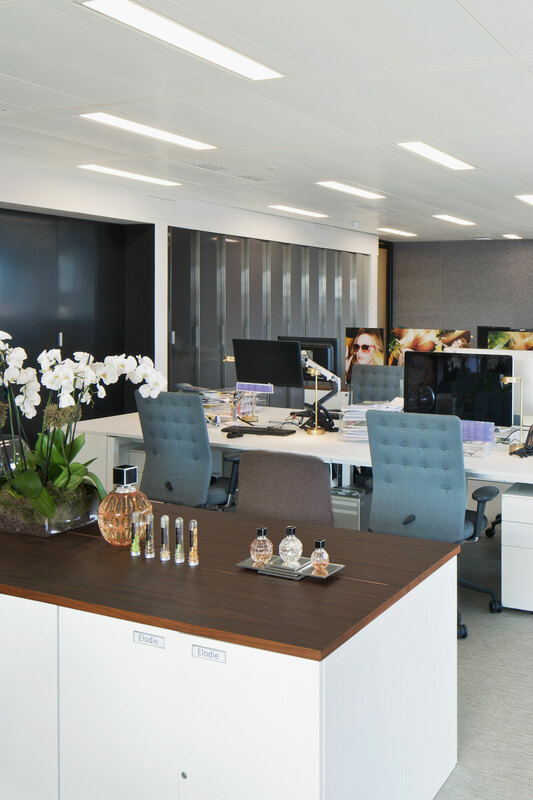 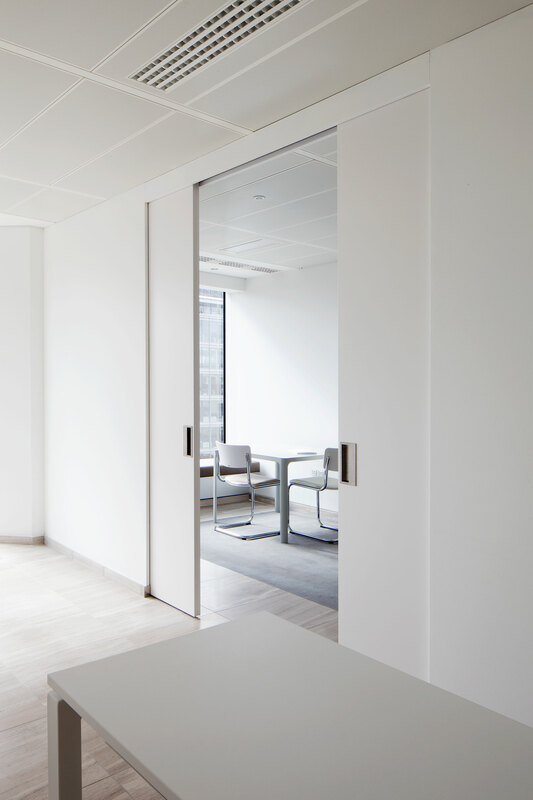 Universal worked alongside the client to understand the various strategic functions of each department, in order to produce a workspace that maintained brand consistency throughout, but also met the individual needs of each team.